Want to have a terrific day in the Catskills Mountains eating great food, playing with fluffy, happy animals and meeting your favorite cartoonist in the whole world? Then come to WOODSTOCK FARM ANIMAL SANCTUARY's JUNE JAMBOREE! Easy ways to get there without a car here. GEE WILLAKERS, I HOPE TO SEE YOU THERE! 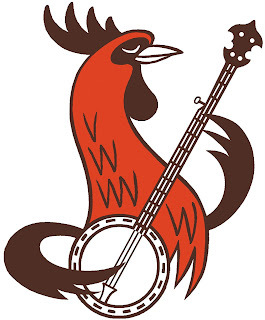 You gonna sell some prints of that banjo playing rooster sir? I'll buy one. Seriously, I think you should. I'll ask the folks at WFAS if they think it's a lucrative idea. You coming to the Jambo, or do you intend to buy one via Internet?